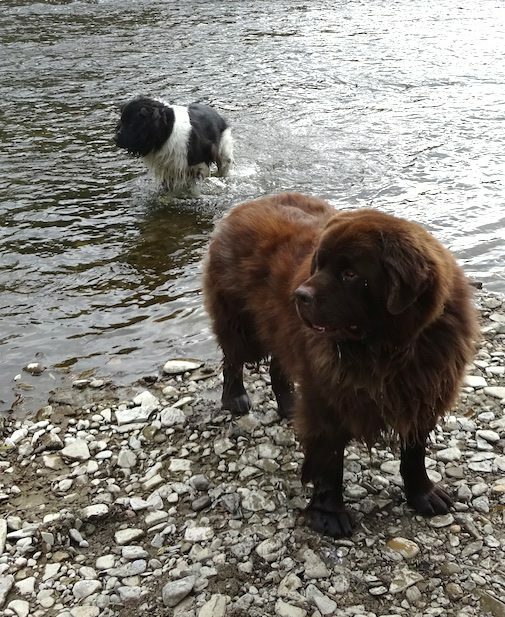 It’s time for our young Newf Ruby to get her second knee surgery to fix the torn ligament on her right hind leg. Her left leg continues to get strong after that knee was repaired. She’s scheduled to get it done next Tuesday, March 10, and presuming all goes well, she should be home at some point on Wednesday. Hopefully by summer, she’ll be getting around well on both her hind legs again!